5 Best AR-15 Scope Reviews 2018 – Which is Best? Home » Sports & Outdoors » Optics » 5 Best AR-15 Scope Reviews 2018 – Which is Best? The AR-15 is an endlessly adaptive platform. It ranges from the size of a submachine gun to a full-sized designated marksman’s rifle. Due to this adaptability, there are a very wide variety of optics available for the platform. When looking for the best AR-15 scope, you need to examine how you use, or how you intend to use the rifle. The needs of a home defense rifle are much different than the needs of a hunting rifle. The same goes for competition rifles, short barreled rifles, full sized rifles, and whatever other AR-15 you have built. We’ve gone into the depth of AR-15 optics and pulled forth the top 5. We’ve attempted to isolate an AR-15 optic for every popular use of the rifle. If you are building an AR-15 into a Designated Marksman’s rifle or a hunting rifle the Leupold AR Mod 1 in 3-9×40. 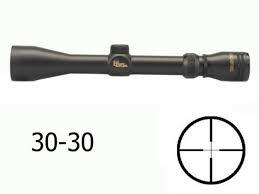 The 3 to 9 magnification rating is perfect for shooting inside and beyond 500 yards. With The 3 to 5 setting, you can engage most close and medium range targets pretty easily. With the 6 to 9 power, you are able to engage at greater distances or shoot smaller targets at moderate distances. The 40mm objective lens and 1-inch main tube allow the use of most popular scope mounts, including single-piece mounts. 40mms is pretty standard for hunting scopes and allows for consistent and impressive light transmission in low light situations. The lenses are made of high-quality glass and coated with Leupold’s own Multicoat 4 coating system. This coating system increases light transmission and clarity. It really helps with getting a sharp and clear sight picture. The Multicoat 4 also reduces glare and reflections, which can both be a major pain. Looking through the Mark AR Mod 1 gives you a high definition picture that gives has a vivid sight picture. The AR Mod 1 is built and bred for use on the AR-15 platform. The tactical turret system makes adjustments in the field easy and tool-free. Zeroing the system is very intuitive due to these turrets. It’s one of the simpler scopes in general. All the controls are easy to use and understand. The reticle system isn’t complicated and increasing, and decreasing magnification is simple to do. The AR Mod 1 is outfitted with a mil-dot reticle for elevation and wind calls. This allows for accurate and precise shot placement regardless of distance and wind speed. Of course, you’ll still have to know how to shoot to make it work. This mil-dot reticle system is universal and not dialed into one specific caliber. Instead, you could use this same system with a 5.56 AR, a 300 Blackout AR, or any other oddball AR caliber. The Leupold brand is pretty well known for its high quality and their amazing customer service. They have provided scopes to hunters, shooters, and even the Marine Corps scout snipers. The Leupold Rifleman is a sporting scope perfect for the AR-15. The Bushnell AR optics line is a popular, affordable, and well-made line of optics for the AR series of rifles. The Bushnell AR Optics 1-4x 24mm is a genuinely good scope for a lot of different AR-15 applications. It’s probably the most versatile scope on this list. It truly is a jack of all trades. This bad boy would excel on the competition circuit, specifically 3 gun and other rifle oriented action sports. In these sports, targets could be anywhere from 10 to 200 yards away. The 1 power magnification and use of the two-eyed Bindon aiming concept make this thing almost as effective as a red dot optic at close range. In a heartbeat, you can give the aggressively textured magnification ring a spin and start ringing steel at moderate ranges. There is an optional throw lever option you can also consider. A 4 power optic can make your standard AR-15 effective out to 500 yards in most shooter’s hands. The United States Marine Corps expects their Marines to qualify at 500 yards with a 4 power optic. A skilled shooter could take it out even further. What makes it possible for a beginner or even an average shooter to hit targets at 500 yards? The Bushnell AR drop zone reticle is a bullet drop compensating scope that gives the shooter hash marks for different ranges. When paired with the right ammunition this gives the shooter the ability to hit targets with boring regularity. A bullet drop compensator is simply a series of hash marks that correspond to a certain range. One dot is for 200 yards, ones for 300 yards, so on and so forth to 500 yards. The lenses are fully multi-coated for increased light transmission and glare reduction. The entire optic is made of aircraft grade aluminum, and it has a tough anodized finish. Anodizing is the same finish the military uses of their M4 and M16 rifles. The 30mm tube is a commons size and perfect for tactical single piece mounts. The turrets are tactical turrets and are fingertip adjustable. The scope is made to last and sealed against the elements. This compact scope is also very affordable. It’s priced at 150 dollars and is backed by Bushnell’s amazing warranty. Simply put if you need a do it all scope for a variety of tasks the Bushnell AR Optics 1-4 x 24 is a good solution to your needs. While the Bushnell AR optic would be good for competition, the Vortex Strike Eagle would be absolutely perfect for competition. The Strike Eagle was a long-awaited optic from Vortex, but one that delivered. The Strike Eagle’s 1 to 6 power magnification gives the scope a lot of versatility and makes it an excellent competition scope. The optic is designed for speed over precision. The 6 power magnification is powerful enough for long range shooting, but this scope is for close to medium range. The Vortex uses a proprietary AR BDC reticle. This BDC reticle is designed for engagement of targets out to 600 hundred yards. The reticle isn’t for taking precise headshots or making really small groups. It’s for quickly getting rounds into the target. For example, the top crosshair is designed for use at 20 to 200 yards. Between 20 and 200 yards there are about 3 inches of bullet drop. As you can see this means when you are between 20 and 200 yards your round will drop up to three inches on the target. Three inches may be a concern in slow fire competition, but not a major concern when trying to hit torso sized targets as fast as possible. In competition and combat, you aren’t shooting for a bull’s eye, you shooting to hit a large target as fast as possible. That’s not to say this scope is inaccurate; it simply means this scope isn’t made for making small groups on a target. The Strikefire is an action shooting scope through and through. The reticle is also illuminated and runs on a single CR 2032. The reticle is also glass etched, so batteries aren’t required. Another feature popular on the competition circuit is the throw lever. The throw lever is mounted on the magnification ring and makes zooming in and out very rapid and easy to do. This allows for seamless transitions to targets near and far. The Strike Eagle is quite compact and lightweight, weighing only 17.6 ounces and is only 10.5 inches long. The Strike Eagle uses a 30mm tube, and it’s the perfect length and size for a single piece mount. If you’re an action shooting competitor, then the Strike Eagle is perfect for you. Home defense is a close quarters kind of situation. In close quarters you need to be capable of shooting fast and accurately. The Aimpoint Pro Patrol optic is perfect for the home defense AR-15. It’s a simple red dot that is strong, powerful, and very capable. In a home defense scenario, you need a versatile optic that can work regardless of the light conditions. You really never know when someone is going to breach your home, it could be in the middle of the night, or in the middle of the day. The Aimpoint Pro Patrol is perfect for day or night time situations. The bright red dot reticle is eye-catching regardless of the light. The advantages of a simple red dot for home defense or close quarters combat are numerous. A red dot is designed for close range and is much faster to get into action than a set of iron sights. 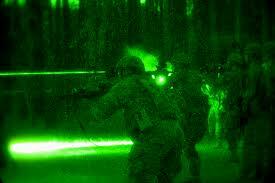 Transitioning from target to target with a red dot is very easy to do and can be done rapidly and surely. The Aimpoint Pro is the most affordable version of the famed, military issued Aimpoint M4. The Aimpoint Pro comes ready out of the box with a single piece Picatinny mount, lens covers, and tethered adjustment caps. Out of the box, the Aimpoint Pro is ready to go. The Aimpoint Pro’s mount is designed for an AR-15. It allows co-witnessing with standard height iron sights. The Aimpoint runs off a single battery and will last for 30,000 hours. You didn’t read that wrong, 30,000 hours. Aimpoint is legendary for their battery life, and it’s an awesome feature. You can set the optic to the illumination setting you desire and simply leave it on. Changing the battery once a year is even overkill since this battery will last for 3 years easily. Like its bigger brother the M4, the Aimpoint Pro can be used and abused. The Pro is water shock, and fog proof beyond a point most us will ever need. It can be immersed to a depth of 45 meters. It can withstand shock in multiple directions and take tons of abuse. We all live and operate on a budget. Some of the optics on this list are quite expensive. 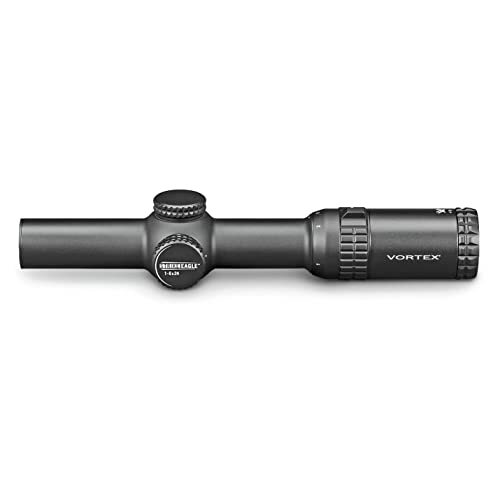 If you still need a quality optic on a budget the Vortex Sparc 2. It sacrifices some features for stalwart reliability and an affordable price tag. SPARC stands for Speed Point Aiming for Rapid Combat. This is a red dot optic that is well made for the AR-15 platform. The Sparc 2 is sealed with an O-ring to make it waterproof, debris sealed and fog proof. Even though it’s an extremely affordable optic, it is still waterproof. However, unlike the Aimpoint Pro it is not designed to be submerged, so don’t take it swimming. The Sparc 2 is made entirely of aircraft grade aluminum, so it’s almost entirely plastic free. The Sparc 2 is made from a single piece of machined aluminum. Single piece scopes are quite durable and aid in precision. The scope is capable of taking a lot more recoil than the little 5.56 round can generate. In fact, it’s rated for rounds more powerful than 30-06 or 12 gauge. Using the sight is very simple, put the red dot on what you want to hit, and pull the trigger. The Sparc is compatible with a magnifier and can be used in a multitude of roles. It would be an excellent home defense optic. When combined with a magnifier it can also be used in competition and even short range hunting. The reticle is a simple 2 MOA dot that is small enough to be quite precise and to hit targets up close and at moderate ranges. 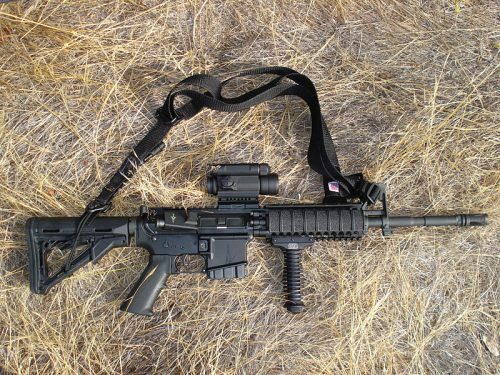 The mount is a lower 1/3rd co-witness with traditional AR-15 iron sights. The Sparc 2 has 10 brightness levels with two setting capable of being used with night vision. The unit is sealed with nitrogen to prevent fog buildup. The Sparc 2 is even capable of working in -4 degrees to +158 degrees. Good glass in an investment. You should always consider the cost of a good scope as a future investment. One that pays and does not cost. A good scope can greatly increase your effectiveness with your rifle. You can transition from targets faster, shoot further, and be both accurate and precise. A scope is a real force multiplier. theprepperjournal.com : What is the Best AR-15 Scope for SHTF?